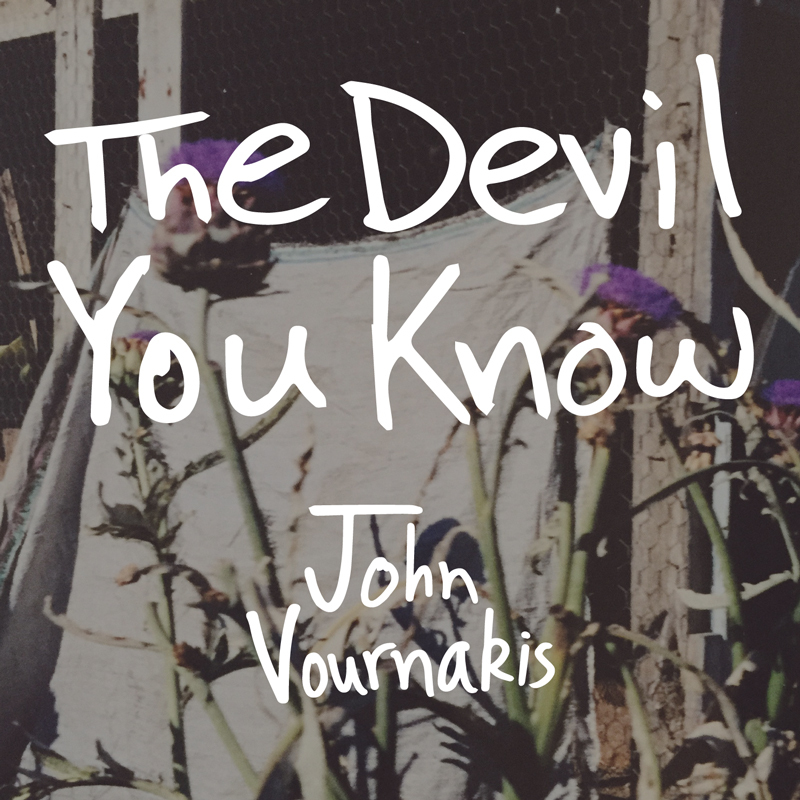 So begins The Devil You Know, the debut full-length solo album by Atlanta’s John Vournakis (New Junk City, Gold-Bears). It is this bittersweet sentiment that runs through the album like a current as John explores the history that created him and questions what it is to be a good man. Throughout the album’s 11 tracks, John takes his demons head on and ponders how he came to be where he is, both geographically and existentially, an Atlanta transplant “born to a Michigan man.” John’s songs dip and dive through the various laments, celebrations, concerns, heartbreaks, sadness, redemption, and deliverance that you’d expect from an album that is clearly hellbent, no pun intended, on further understanding the self. Recorded and produced over a stretch of two years by Damon Moon at The Cottage, The Devil You Know is an impressive and eclectic achievement in the Americana tradition. With a country-tinged folk rock slant and John’s bell-clear voice, these songs give old fire and new life to lyrics that are as personal as it gets. From the dynamic folk of the opener “Hallowed Ground” to the stomp-pop beat of “***” (“three stars”) to the confessional rock and roll of the final track “Sold In Bunches,” the album winds its way through concrete and kudzu, navigating Southern territory and picking through the sounds and ideas that most help each song come to life. John’s dynamic prowess as a songwriter shines on The Devil You Know, and the album’s stellar production from Damon and The Cottage fits like a glove.